The beautiful Saint Croix River Valley invites you to escape from the world for a while – explore the hiking trails, go fishing, enjoy a ride on a vintage train or trolley, head to the beach or camp on an island… visit historic river towns – explore the galleries, the quaint shops, enjoy fine dining, theater and music. 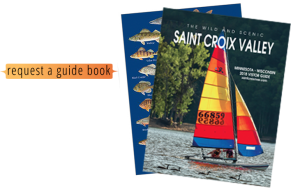 In the Saint Croix Valley, you will find those wonderful and special places that provide a lifetime of memories. The Saint Croix River Valley is just 30 minutes from downtown St. Paul and 45 minutes from downtown Minneapolis.